Thyroiditis is inflammation or swelling of the thyroid gland. There are several types off thyroiditis; Hashimoto's, postpartum, silent or painless and subacute. Symptoms of Hashimoto's thyroiditis may include fatigue, depression, cold intolerance, weight gain, dry skin and hair, muscle cramps, constipation, decreased concentration and sleepiness, leg swelling, puffy eyes; severe symptoms include a slow heart rate, low body temperature, heart failure and coma – cause is suspected immune mediated reaction. Postpartum thyroiditis may have two phases; phase one occurs about 1 to 4 months after giving birth when symptoms of hyperthyroidism occur and phase two that starts 4 to 8 months after delivery when the patient develops hyperthyroiditis symptoms – most women with postpartum thyroiditis return to normal function after 12 to 18 months and not all women go through phase two. Silent or painless thyroiditis develops like postpartum thyroiditis, but the person is not pregnant. Symptoms of subacute thyroiditis can be the same as postpartum thyroiditis, but it may also include neck, jaw, or ear pain. In contrast to other thyroid types, subacute thyroiditis can be caused by infection. Thyroiditis (thy-roi-DY-tiss) is inflammation, or swelling, of the thyroid. There are several types of thyroiditis, one of which is Hashimoto's thyroiditis. 1. Are my symptoms consistent with thyroid disease? 5. What exactly is a thyroid biopsy, and how is it performed? Like Hashimoto's thyroiditis, postpartum thyroiditis seems to be caused by a problem with the immune system. In the United States, postpartum thyroiditis occurs in about 5 to 10 percent of women. The first phase starts 1 to 4 months after giving birth. In this phase, you may get symptoms of hyperthyroidism because the damaged thyroid is leaking thyroid hormones out into the bloodstream. The second phase starts about 4 to 8 months after delivery. In this phase, you may get symptoms of hypothyroidism because, by this time, the thyroid has lost most of its hormones. Not everyone with postpartum thyroiditis goes through both phases. In most women who have postpartum thyroiditis, thyroid function returns to normal within 12 to 18 months after symptoms start. SOURCE: U.S. Womenshealth.gov. Thyroid Disease. 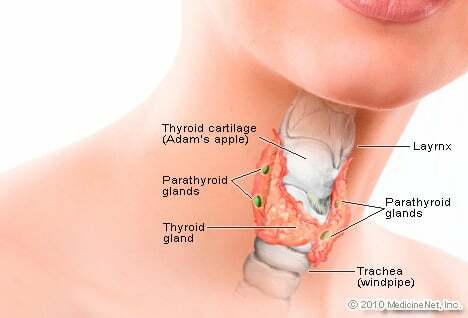 What were the signs and symptoms associated with thyroiditis in you or someone you know? How did you find out you had thyroiditis? Please share your experience.